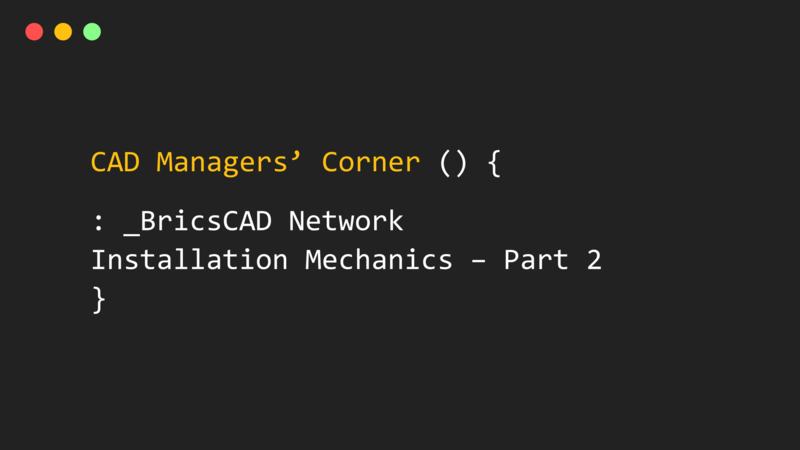 In our last post we talked about automating the installation of BricsCAD using a variety of command line switches to assist in deploying large quantities of seats. Yet installing the software is only part of the startup effort since you’ll certainly want to have a standardized profile that is customized to your unique environment. The good news here is that BricsCAD makes the process easy if you know a few key pieces of information. In this installment we’ll explore how you can use a little bit of AutoLISP code and profile (ARG) files to get BricsCAD setup perfectly for your users from the very first time they start the software. Files and folders. Where files are stored, where to find various device drivers, folders to trust, font locations, etc. Drivers and devices. Printers/plotters or PDF utilities to print to, device calibration and page setup files, etc. Variables. A universe of settings that defines everything from dimension styles, to text styles, to DGN translation parameters, cursor settings, etc. Once you have a single machine setup to your liking, all these parameters may be bulk exported to a profile (ARG) file that can be subsequently imported into other user’s machines so that the setup of all machines can be consistent. 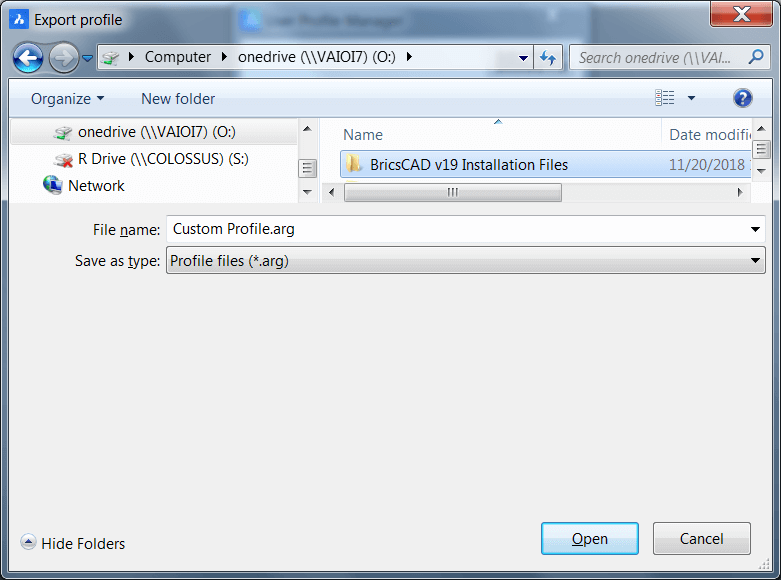 Note: If you’re familiar with managing AutoCAD based tools, you’ll find BricsCAD very, very similar. 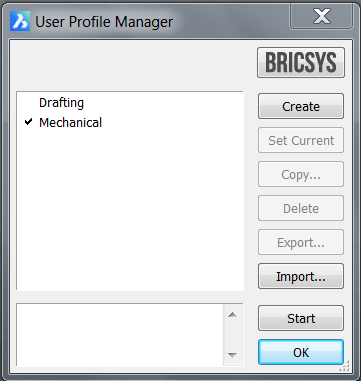 In BricsCAD key in PROFILEMANAGER at the command line and click the CREATE button to create a new profile. Enter the name and notes for the profile and click the OK button. Set the new profile to current and test for proper operation of the system. Assuming everything is working properly, key in PROFILEMANAGER at the command line again then click the EXPORT button. Now you’re ready to start importing profiles to the user machines. I assume you’re comfortable with using a programmer’s editor. Notepad will work just fine for this task if you like. This is not casual AutoLISP code nor is it a novice project. I’ve used several ActiveX controls to access the BricsCAD application environment and the syntax for this program is extremely specific. Your names and paths will vary. Be sure you input your precise ARG file name and path and that you get the exact profile name. Everything matters syntactically. All spaces, \\, “ marks and parenthesis do indeed matter. You won’t scuttle your system if you mess up. The program may look dangerous work but it won’t do any harm if it doesn’t run correctly so feel free to keep trying until it works. Now all you have to do is place the ON_START.LSP file in BricsCAD’s support directory – you can find this using the SETTINGS command and looking under Program Options / Files. 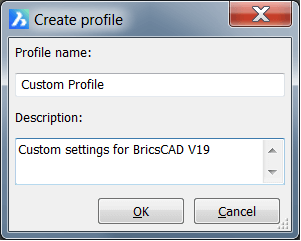 Now simply exit BricsCAD and restart and the CUSTOM PROFILE will load in and set itself to current. That’s it! And if it doesn’t work look at the command screen – you can find this by hitting F2 – and see what sort of error messages you receive to assist you in finding the error in your code. 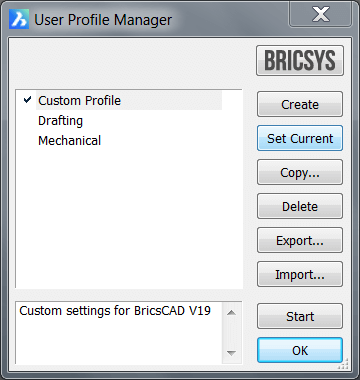 Now that BricsCAD is installed and you’ve got it working the way you want with a default custom profile you’re off to a great start. I realize that I threw you in the deep end of the AutoLISP pool in this post but if you take a little time to make this work in your environment, you’ll be rewarded with a consistent BricsCAD installation that takes very little time to setup. But wait – here’s the bonus – you’ll also have a basis for further controlling and customizing BricsCAD in your network environment. And that’s the topic we’ll cover in the next few blog posts starting next week. Easy to try, easy to buy, easy to own. That’s BricsCAD. Try all of our products, for free for 30 days at www.bricsys.com. Freedom of choice, plus perpetual (permanent) product licenses that work with all languages, in all places. You’ll love what we’ve built for you with the BricsCAD V19 product family. 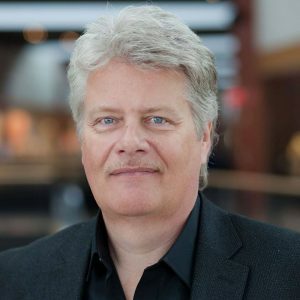 Robert is Director of Implementation at Bricsys and a well-known CAD management author and industry expert. Robert brings a wealth of experience to clients wishing to implement BricsCAD. Based in Atlanta, Robert is also a semi-professional rock guitarist and vocalist. sometimes applications set this as 1 (it is even suggested to have it as 1). It is the same logic as with AutoCAD (acad.lsp also loaded per-document, with ACADLSPASDOC=1). 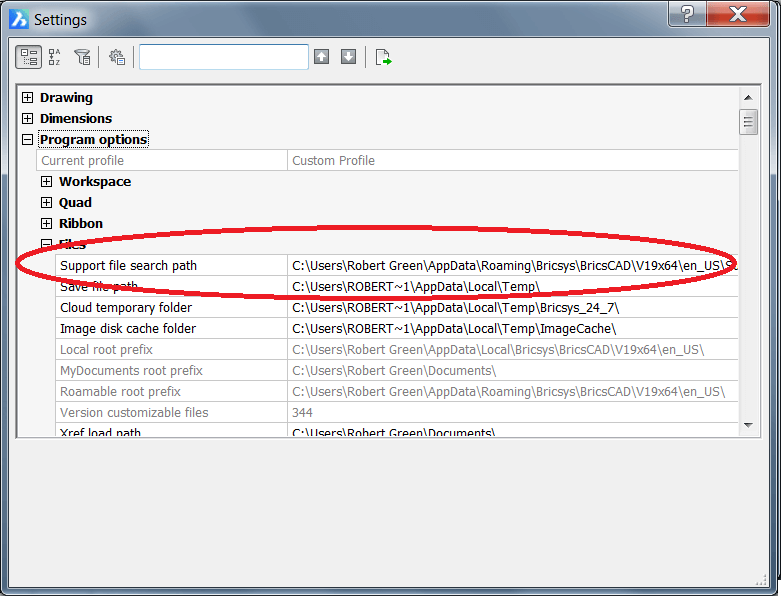 Users of earlier versions of BricsCAD need to be aware that this LISP based approach to import and set the current profile isn’t available without a re-start of BricsCAD. The introduction of V19 removed this limitation. An alternative method (for Windows users) is to push the profile settings into the registry through a batch command or similar.